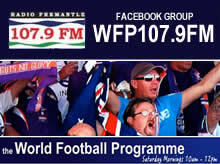 Westfield W-League side Perth Glory will be holding trials at the end of July for its 2013/14 squad. Under coach Jamie Harnwell, the side reached the semi-finals of the W-League for the first time in history last season and will be looking to go one step better this time around. The trials will take place on Wednesday, July 31 at Balga’s Celebration Park. Click here to down the Expression of Interest form. Make sure you return the form by Monday, July 29.